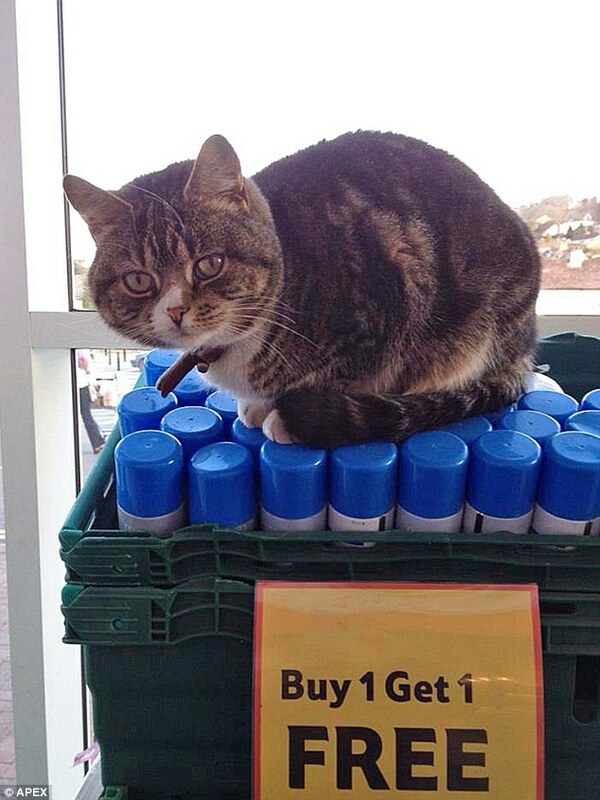 A tabby cat called Mango starting visiting his local Tesco supermarket four years ago and ever since has made it his second home. 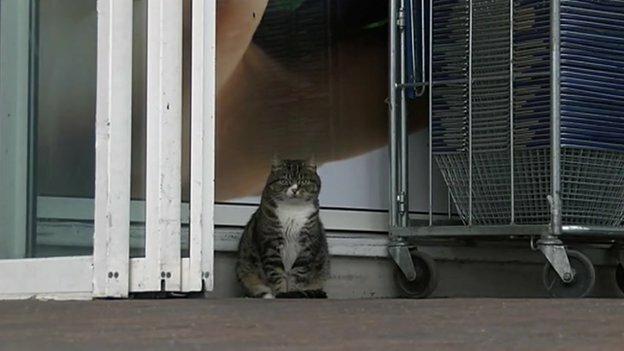 He is very popular with the store customers and spends most of his day curled up in the foyer asleep, occasionally taking a stroll around the aisles. In fact, he’s so popular with the locals that somebody created a Facebook page in his name where he has clocked up over 13,000 fans. 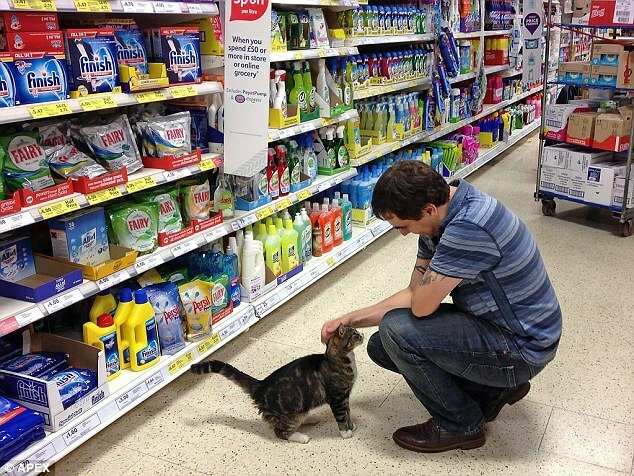 Shoppers in the store have had their photo taken with Mango and uploaded them to his page. 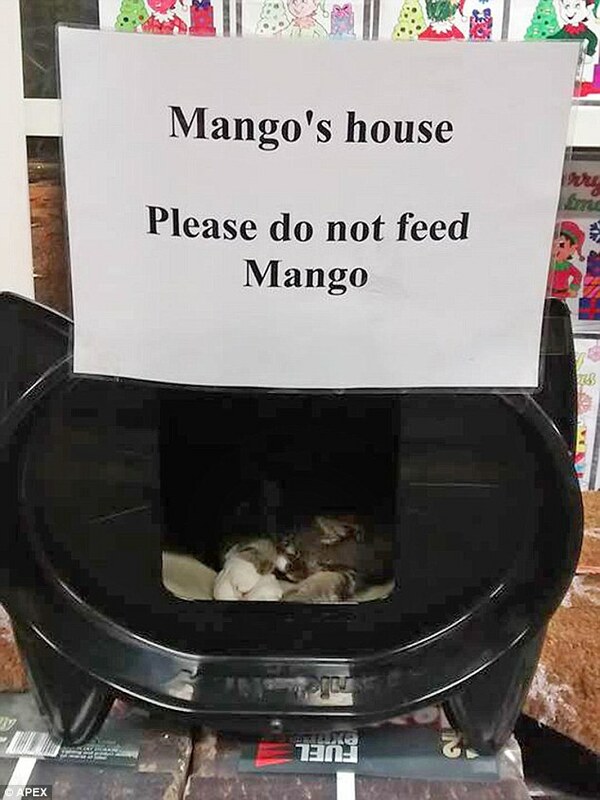 Despite being at the store every day, Mango is not a stray and lives happily in a house nearby. You can visit his Facebook page here. 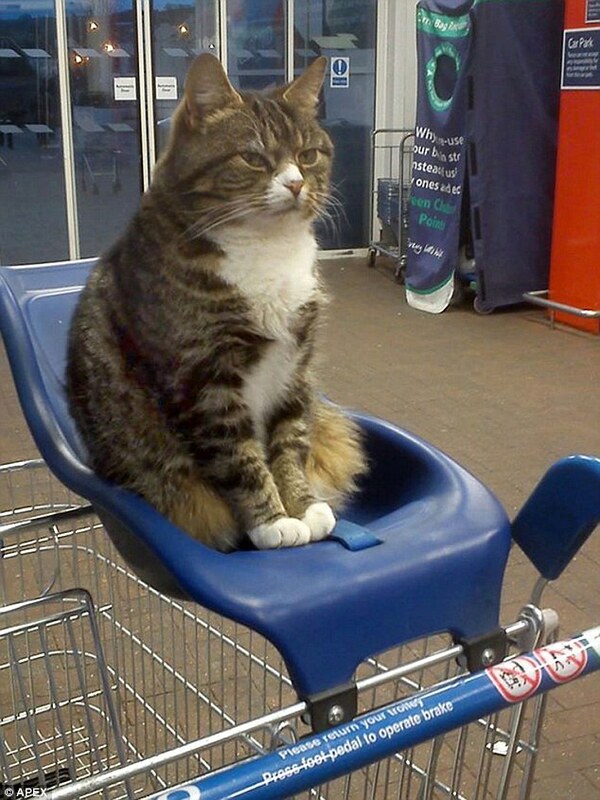 And if you want to see him in person the Tesco Store is in Tiverton, Devon in the United Kingdom.